Then please consider this program. The online program will take you 6 weeks to complete. Guided by the workbook and video’s you will get to understand what it takes to strengthen your relationships, yes all of them. But it won’t happen overnight. Even if you dedicate yourself to 6 weeks of hard work, remember that relationships involve another as well! So this work will help you to show up differently and create the changes through living the example. You have multiple relationships, friendships and romantic ones, work related or otherwise, and they are fine. But you have discovered that just fine is blah. And you want more, you want these people in your life to feel closer, you want these relationships to be more fulfilling. Or are you failing to truly connect to others? Does it always turn out to be disappointing and lonely? On the surface it all seems just fine, but you can feel that you are just not happy when you are with your friends, co-workers or lover(s). Perhaps you are having a whale of a time. You are surrounded by amazing people who you have loving relationships with. And having discovered how completely delicious that is, you want to know more, you want to decipher what makes it work for you so that you can keep repeating this magic formula. Being in relationships is a natural, human desire and we thrive when we do just that. But in this highly individualised society it can sometimes get complicated to connect, to get to that level of intimacy that is fulfilling. This program will decipher your relational-requirements and pitfalls as well as give you the building blocks to create loving and lasting relationships. This online program is available for you to follow at your own pace at the right time for you. If that is not now, that is ok too. Defining relationships What is a relationship really? Do you know? And what is real and what is not? Expectations You and your relational partners expect something from the connection, are you aware of these? Communication So how do you relate to one another? What is key in your communication together? 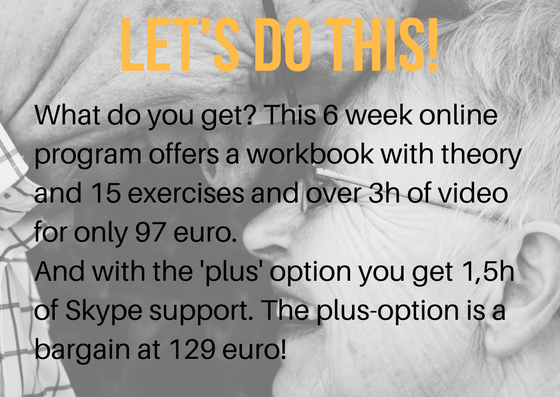 Packaged in a workbook with theory and 15 exercises, over 3 hours of video support and lot’s of soul-searching. Naturally I will also be available to offer support while you journey through the program. My name is Georgina Haug and I love, big time. I make no excuses for myself, I am just a hopeless relationship addict. My parents brought me up to be socially adapt. Our house was often filled with people from all walks of life and from all over the world. Unfortunately I found myself to be a little socially awkward. Often feeling clumsy and shy in large groups. And so I started drifting to those people in the room who seemed lost too. 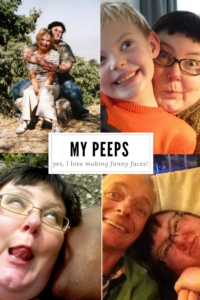 With them I learned to have a real conversation and how much fun it is to connect. These days my life is filled with long lasting, deeply connected relationships. Long-distance, infrequent contact, romantic/non-romantic, it doesn’t bother me at all. I know what is good between us. I count my blessings; to be loved and appreciated by so many. These people enrich my life. Every one of them are interesting and amazing in their own special way. Each relationship touches me differently. It is this rich pallet that I have come to appreciate and seek out. And did I ever get over my social ickyness? Nope! What is it that you want and need from other people? From your romantic partner(s)? My guess is that your basic needs are not that different from mine: you want to feel loved and valued. Let’s walk through this program hand-in-hand, together. And on your journey you will discover that there are so many opportunities for you to become more intimately connected with those in your life. You are such an amazing human being, let the world see you and let us celebrate our strong relationship. All you need to do is make a choice. And if you want some extra support, then you could also opt for the ‘plus’ version. That means that you receive extra Skype support by me for a total of 1,5h. We can schedule our chats in blocks, or one nice long session. Whichever option you choose, please know that I will be available by mail for all participants.